This cosy and smart large blanket scarf is made in Scotland from beautifully soft 100% Merino Lambswool, sourced from a family run British mill that have been spinning quality yarns since 1766. Knitted by a small artisan maker in the Scottish Borders. 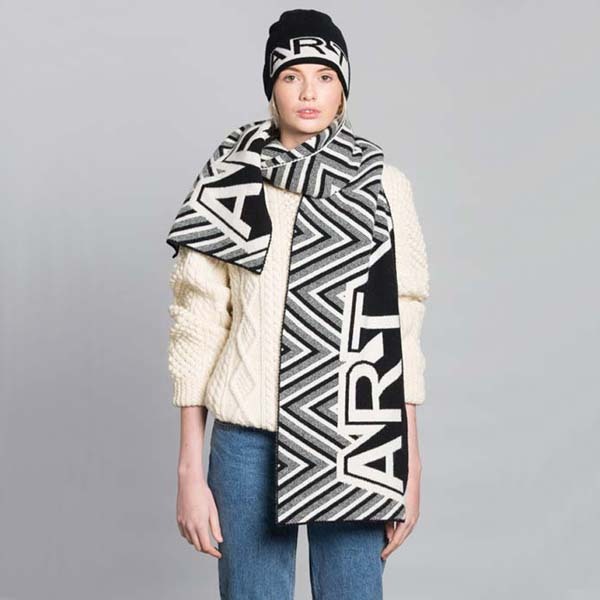 Generously large scarf measuring at 2 metres long, which can be wrapped round a few times or worn loose to create different looks. 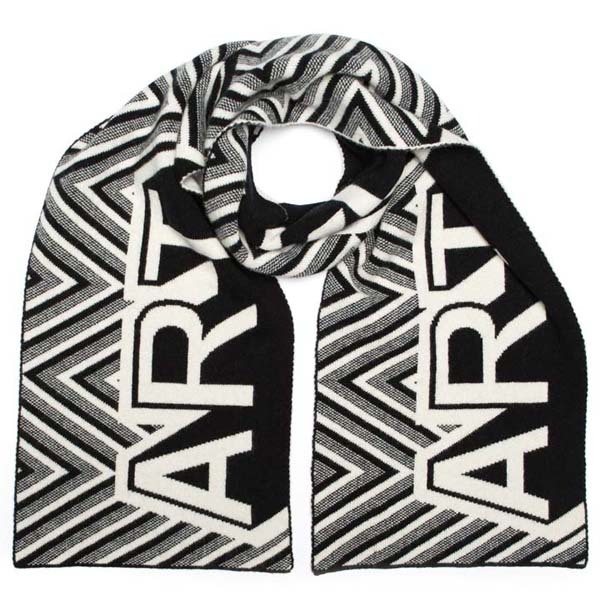 A classic colour combination of black and white, this blanket scarf features graphic text ‘ART’, creating a classic but cool piece., a very versatile piece to bring some colour to the dark and grey days.